Something stinks at Splash Country. Someone get Miss Dolly Parton on the batphone STAT. Homegirl would NOT allow this anti-gay malarkey anywhere with her name on the door. Even if the Don’t Say Gay Bill has provoked a war on LGBT Tennessee residents. We’ve reprinted a letter from a lesbian woman who was discriminated against at Dolly Parton’s Splash Country theme park below. The letter has been making the rounds on Facebook all morning, so we’re hoping Olivier doesn’t mind us shining our spotlight on her story as well. On July 9, 2011 my wife and I took our friend’s two daughters, ages five and eight, to visit your water park. Before entering the park, a Splash Country employee who was accepting tickets informed me that I would have to turn my t-shirt inside out because, he said: “This is a family park.” My t-shirt read: “Marriage is so gay.” What is not family-values about promoting marriage? Not wanting to cause a scene in front of the girls and ruin their trip, I complied with your employee’s request and had the necessary conversation with the two girls that the man was discriminating against me because I believe in allowing gay people the right to marry. I regret that, in my shock and disbelief, I did not get the employee’s name. I was and still am greatly offended by the public discrimination that I experienced on July 9, 2011 at your park. I felt discriminated against based on my sexual orientation and my viewpoint. Not only did it make me angry, but I felt violated and saddened. 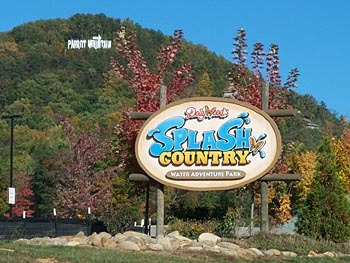 I truly hope that it is not the policy of Dollywood’s Splash Country to discriminate against the LGBT community. I do not feel that your company has the right to restrict the freedom of speech of its patrons. My shirt (image enclosed) was a political statement of equality. It seems that any employee with a personal prejudice can impart that opinion on any visitor, and therefore discriminate based on their own beliefs. To ensure that your customers are not treated this way in the future, I would like to see Dollywood: implement policies that are inclusive of lesbian, gay, bisexual and transgender (LGBT) people; conduct staff sensitivity training; and issue a public statement indicating that the park is inclusive of all families. Please contact me at the e-mail above by August 15, 2011 to confirm your course of action. Surely we can expect a statement from Dolly shortly. Please?